From the Archive: The U.S. political/media world often operates without justice. Truth-tellers get punished and the well-connected get off. On this eighth anniversary of journalist Gary Webb’s suicide, we are re-posting one of the stories that Webb’s brave work forced out, albeit without a satisfying ending. 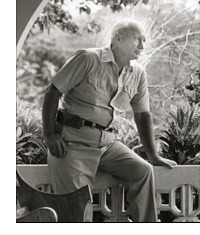 John Hull, an American farmer in Costa Rica who worked closely with the Nicaraguan Contras in the 1980s. In January 1989, however, Costa Rican authorities finally acted. They indicted Hull for drug trafficking, arms smuggling and other crimes. Hull was jailed, a move that outraged some U.S. congressmen. A letter, signed by Rep. Lee Hamilton, a senior Democrat on the House Foreign Affairs Committee, and other members, threatened to cut off U.S. economic aid if Hull were not released. ← Who Bombed Ben-Menashe’s House?